Enhanced protection for main motor. Enhanced performance, high-end technical features, stylish look, value for money – what more would you want in an air cooler? 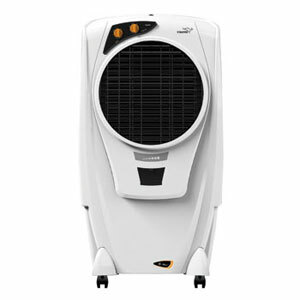 These are exactly what the exclusive range of V-Guard air coolers offer you. Designed to be in par with all the international standards, V-Guard air coolers are among the best in India that would help you beat the boiling heat by keeping your rooms cool and cozy. 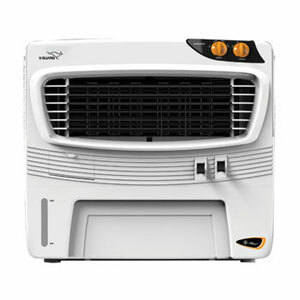 Let’s take a look at the special V-Guard range of air coolers. You will fall in love with them for sure. These air coolers can be used in dry areas more and has a tank capacity that varies from 50 to 85 litres. Engineering plastic fan is used in these air coolers for advanced air circulation. The tank capacity of Desert Coolers varies from 50 to 85 Litres. 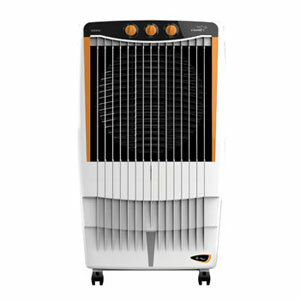 Window coolers are specifically designed for the cooling of medium to large sized rooms. It has got a tank capacity of 50 litres and a blower is used for better air circulation. It is recommended that this type of cooler be kept in the window for better results. 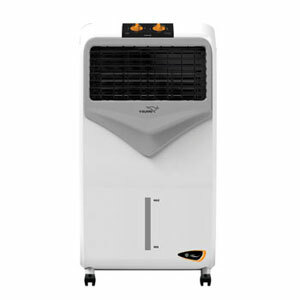 Suitable for the cooling of small-sized rooms, Personal Coolers come with a tank capacity of 22 litres. Air circulation is achieved through the use of blowers. 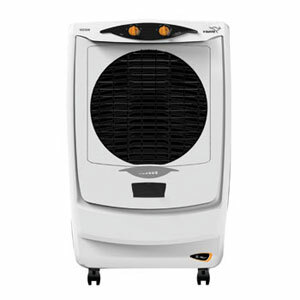 Personal coolers can be used in AC halls to maintain moisture inside the room.